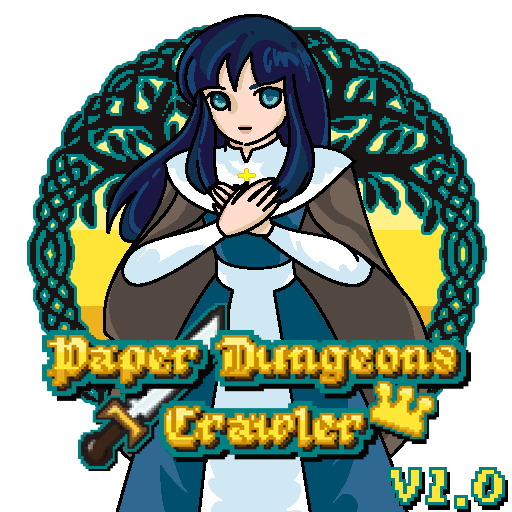 Paper Dungeons Crawler is coming out of Early Access today! Paper Dungeons Crawler is coming out of Early Access! This patch is dedicated to improve the gameplay and iron out some last bugs. For that, we’ve re-timed all animations and added new character animations when Searching/Picking up items, Casting spells and launching Ranged attacks. The character’s moves are now smoother and faster. All sounds have been remastered and we added 2 new music themes for each dungeon zones. The songs are played sequentially to maintain a certain mood and progression feeling, but you can switch to next song with a new shortcut [+]. Casters get some love with more damage on spells and even more for the Mage class. Players can now also directly recast their last spell with a new shortcut. Plus some significant game balance changes. [*]New animation: Search/Pick Up items. [*]Vsync On with 60 FPS by default. [*]New command to repeat the last spell. [*]You can now choose to break a Paid chest, if you don’t have enough money or just want to try and get the loot for free. You have 30% chance to get the loot intact, 50% if you play a Thief. [*]All offensive Mage spells have their damage raised. [*]Mage spell damages greatly increased. [*]You can also move by default your character with the numpad. [*]Dropping into a chasm and being blocked in this state, leading to faulty stairs up and stuck players. [*]Hitting a Start or Load button multiple times resulting in starting or reloading the game multiple times in a row. [*]Animation state sometimes staying stuck on run or attack animations. [*]Picking up the Novice bow will equip it without showing the selected bow. [*]Changing Music settings in game doesn’t register right away. [*]Identifying progression on Scroll or Potion not saved. [*]Rodent of Unusual Size already unlocked for new players. [*]Dying while using a teleport or falling in a chasm could crash the game. [*]Thief trap on Robbery runes didn’t work anymore.